Winter is coming! 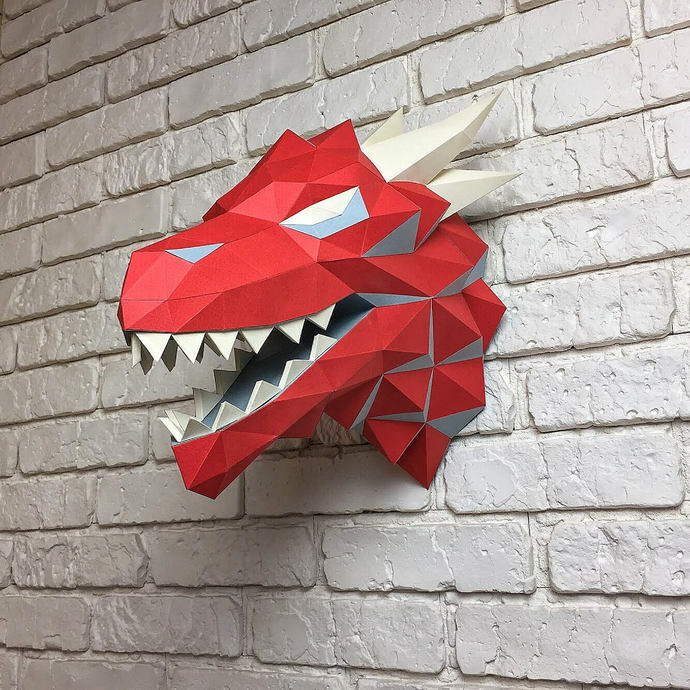 Inspired with Game of Thrones Dragon Head made of thick paper in three colors. The whole neck is covered with horny processes, it has sharp teeth, and yet it breathes fire, do not say aloud "Drakaris", otherwise you risk being burned alive. Trust me! Don't say "Drakaris"! It's time to make your own Dragon Head from recycled card or colored paper with easy to follow instructions. 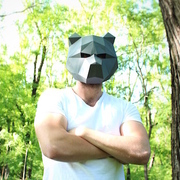 Perfect for bachelor parties, festivals, cosplay and also as I use it - photosets! This listing is for digital downloadable pattern to build your own unique paper dragon head with instructions in PDF on both A4 and US letter paper. Also you can change the scale by printing it on A3 - it's even easier to build the bigger pieces. It will take about 8-12 hours to create a papercraft dragon head.